Holy Moly! 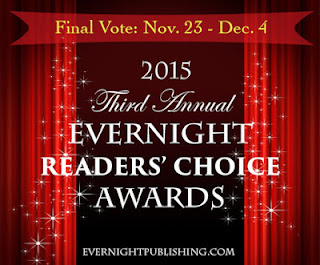 Rattle is up for Best Urban Fantasy! Ahhhh! 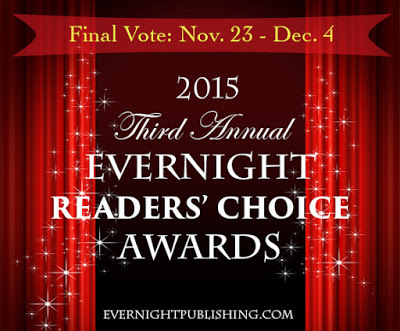 Rattle's up in the Semi-Finalists for the Evernight Reader's Choice Awards! This is so neat! The last time my writing was nominated for anything was when I was a freshman in high school and all the high schools in the area had a contest for best short story. I submitted my story The Serial Sporker and was told I was a finalist, and that I was invited to an assembly where the winners would be announced. I remember sitting there expecting to be in the honorary nominees section, or whatever that was. Then they hit the winners and I figured, surely I'm third or fourth place. Then they kept going and I was announced the WINNER! Of all the things! (all the things being $75 and a certificate that I still have). So, you know, technically I'm already an award-winning author and I have a reputation to uphold. So, if you've read Rattle and you think it was awesome, you should head over to the site and toss a vote my way. I've been writing the second book in Finn and Veruca's series, working on it bit by bit for a few months and I'm just under halfway done. It's been harder to write than anything I've worked on for awhile, but to be honest I haven't seriously worked on much in over a year. I've dabbled here and there, a hundred words, or five hundred words dumped into a story over several months, but that's been the extent of it since my dad died. I don't know if that's a factor, but I've been mostly working on trying to get my life in order ever since. Hopefully this, and some other good news I got Saturday, is a sign that things are turning around! 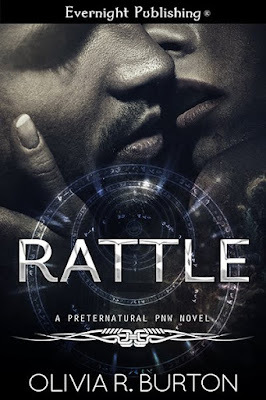 If you haven't read Rattle, I think you should give it a shot! It's not your typical Urban Fantasy, at least I don't think so. It's farcical and silly and everyone loves Finn. You can't not love Finn! He's a little dumb, but a lot pretty and has a big heart.